You’ve just purchased a shiny new smartphone and start downloading mobile apps. You download cool apps. Smartphone mobile security is the last thing on your mind. Soon your phone’s screen fills with dozens of colorful icons–the best apps to use for FaceBook and Twitter, incredible mobile games, mapping, music, photos and more. You just can’t stop. But hidden in the software code of some apps are Trojan horses, worms, viruses and other malicious malware. Your smartphone mobile security is compromised. Sweat breaks out on your forehead when you think you’re infected. Your heart beats faster. What do you do? Ask John Hering, Co-Founder, and CEO of Lookout, a cloud-based smartphone security company in San Francisco. John lives and breathes wireless security. Back in 2004-2005, when few people were thinking about worms and Trojan horses, John and his team thought about the day when mobile smartphone apps would infect mobile phones. A few companies, such as F-Secure, identified a mobile Trojan called Skulls.D, a Symbian 60 flash attacker that, laughingly, put a skull on Nokia phone screens It crippled all features except making calls. Like the Greeks hidden inside the horse thousands of years ago, Sophos Labs in 2006 found the first cell phone Trojan called the Redbrowser. That bugger turned a WAP-less mobile device into a money-making machine. Phones in Russia started automatically sending out premium rate SMS text messages costing phone users money. Many phone users didn’t even realize they were paying cyber criminals a salary. Back in L.A., Hering and his USC friends did a less damaging study. They built a software script, using Bluetooth, to determine the security of phones at the Academy Awards. As the New York Times reported, over 100 attendees were carrying unsafe phones. Robin Williams, the comedian, and actor had a Trojan in his pocket. But, according to John, he took it all in stride. Malware? Trojans? Must be bigger issues when you’re nominated for best actor of the year. More recently, Russian cell phone users experienced a smartphone mobile security breach. A Trojan horse, the first one found inside the Android operating system, attacked Android smartphones. Kaspersky Labs identified it as a premium rate SMS attack and Lookout noted it in a blog post. The story also made the New York Times. As John points out in our interview, attacks of this type on mobile phones can immediately cause financial consequences. PC invasions retrieve stolen information, such as credit card numbers for illegal purchases over time. But, as John mentions, cyber-mobile crooks can rip you off immediately for $2 without your knowledge. Lookout, formerly called Flexilis, develops smartphone security, data backup, and phone recovery software. Since Lookout’s solutions are cloud-based, it off-loads protecting your phone to the Internet and its servers. That extends your battery life. Lose your phone? Lookout’s smartphone mobile security even identifies your phone’s location and produces a loud siren sound, leaving the thief holding stolen property. From the My Lookout dashboard, you can even wipe your phone’s memory clean. When I first tested Lookout on a Blackberry Curve, the Google Map showed it under the San Francisco Bay Bridge. After turning GPS on, however, Lookout correctly displayed my phone’s location near my home. Backing up my BlackBerry data regularly took only a few seconds after the first backup. And the anti-virus software ran quietly in the background checking out every new app I loaded before malware or a virus could infect my smartphone. In the podcast interview, John Hering discusses how users can enhance smartphone mobile security when downloading mobile apps. He also comments about smartphone security trends. The Lookout service offers free and paid versions and works on 400 mobile networks in 170 countries. John is a successful entrepreneur with a passion for solving consumer problems. He co-founded Lookout (formerly Flexilis), along with James Burgess and Kevin Mahaffey, after extensive research into mobile security threats. Prior to Lookout, John founded Unwire Iraq, a non-profit company serving wireless U.S. combat troop networks. John also worked for Daily Wireless, an online news and information source covering all aspects of the wireless marketplace for business (acquired by Focus Research, Inc.). His Bluetooth Sniper project resulted in a world-record-setting attack on a Bluetooth-enabled mobile device over a mile away. John is a frequent speaker at industry events, including Black Hat Technical Security Conference, DEFCON and Microsoft’s Bluehat Security Conference. 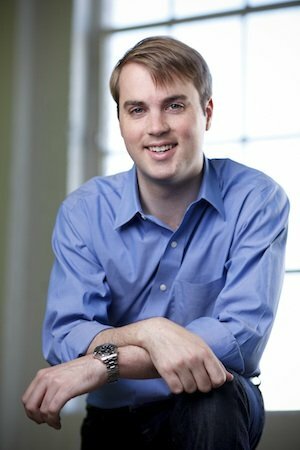 BusinessWeek recently selected John as a Best Young Tech Entrepreneur for 2010. John studied at the University of Southern California and has extensive experience with information security and wireless communication technologies. Security software company Lookout has raised $150 million in Series F funding led by T. Rowe Price with participation from Morgan Stanley, Goldman Sachs, Bezos Expeditions, Wellington Management Company, Andreessen Horowitz, Accel Partners, Index Ventures, and Khosla Ventures. Lookout has raised over $280 million in total. Lookout was founded in San Francisco by John Hering, Kevin Mahaffey, and James Burgess in 2007. They launched the company to develop software for protecting mobile devices. There are over 50 million people around the world who use Lookout’s security app to find lost devices and backup date. John Hering discussed how cybercriminals are hacking smartphones using a glitch in mobile carrier networks. In the interview, John says that we no longer can trust the technology we use.